When you are facing divorce, it’s important to know all the components that make up your marital estate, especially if the assets include some form of executive compensation. If your spouse works for a large firm as an executive or at the management level, you may have some form of executive compensation in your estate. Many smaller firms also offer their top-level employees different forms of executive compensation plans. You can hire a specialist such as a Master Analyst in Financial Forensics (MAFF®) or a Certified Divorce Financial Analyst (CDFA®) to search for these types of plans. Once you realize you have some type of executive compensation plan, you then determine the value of the plan and the characterization of the plan (marital or separate property). The following is a brief overview of the most common executive compensation plans. The most common type of non-wage compensation used to be stock options in shares of the employer company. 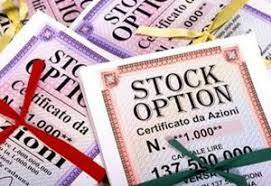 The two primary types of stock options are Incentive Stock Options (ISOs) and Non-Qualified Stock Options (NQs). The difference between the two is in tax treatment and transferability. They both will require some intricate work, specifically if there is a vesting schedule. For these calculations, you just want to bring in an expert to have it done right. Restricted stock is now the most commonly used form of executive compensation. This is shares of company stock given to an employee as either compensation for past performance or an incentive for future performance. It’s critical to acquire the actual grant documents to know which the case is. This could determine the characterization of the stock as either marital property or separate property. The most common type of restricted stock awards is Restricted Stock Units (RSU’s). They provide the right to acquire shares at vesting. Again, the marital portion can be quite complex to calculate, but critical that you have it done. This is another job for that MAFF® or CDFA®. This is a benefit wherein the employee is allowed to buy company stock at some regular frequency, usually at a price that is discounted from the current market price. When the shares are purchased, they can usually be sold immediately or held at least a year for more favorable tax treatment. With this option, the employee can choose to defer some portion of current compensation until a future date. These deferrals may be salary, bonus, or even equity compensation. Sometimes the employer will also match these deferrals. These deferrals are typically discretionary and can change per the employees wish year to year. Also, any balances in the plan are likely marital property as well and should be analyzed carefully. My spouse has executive compensation. Now what? Now is the time to acquire a team of experts. The attorney is your primary point of contact. From there, we also recommend hiring a financial forensic expert for the financials of your divorce early in the process. We recommend bringing in the expert as early as possible in the divorce so the right documents can be requested, and the characterization can be known as early as possible. The sooner you know what you are facing financially, the better. If you have clear direction on what is in your estate, you’ll have a better idea of how to negotiate the best deal for you. Bringing a financial expert on early in the case will also prevent last minute scrambling in mediation for documents and information. It will also help you strategize and give you time to explore all the financial options with your attorney and your financial expert. The financial expert can also help ensure that the final Settlement Agreement is written to properly reflect the way the compensation will be handled. Executive compensation accounts are not usually eligible to be given to a non-employee spouse at the time of divorce so the employee spouse must have very specific instructions on what must happen to specific shares, options and grants upon vesting that takes into account the taxation responsibilities, etc. Executive compensation can be very complicated and if you take it on yourself, you’re exposing yourself to a lot of risk. These assets are often substantial pieces of the marital pie and it is critical that they are valued correctly so that you can negotiate your settlement confident that you are really receiving what you are entitled to. This is one area you don’t want to scrimp on. This expert on your team could single-handedly get you thousands of dollars more in settlement by ensuring that EVERYONE has all of the correct information.